Ramping up for the 2019 Louisiana SkillsUSA Championships for High School students. This year we will have the 2019 High School SkillsUSA Officers open the first general session of the Louisiana SkillsUSA Championships at the Career Magnet Center & Louis Miller Career & Technology Center. "We are very excited to be in Lockport-Houma; and for the first time - have our opening and closing sessions in the High School Theater, said Larry Rabalais, Executive Director of SkillsUSA Louisiana, Inc." Our state officers are gearing up for the conference. 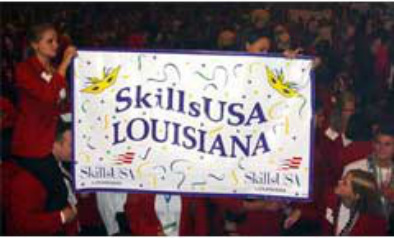 Be sure to register online at the national SkillsUSA membership log on for the Louisiana SkillsUSA Championships under the Conference tab. Hotel reservations should be made right away at the headquarters hotel: TBA, Houma, LA 70360. We are looking forward seeing you in Houma! Learn more here on Louisiana SkillsUSA Championships Sponsorship Program Partner & Exhibitor Participation. "Visit HoumaTravel.com to plan your trip to Louisiana's Bayou Country." Click here to find out more about SGIA - A new SkillsUSA Louisiana partner. 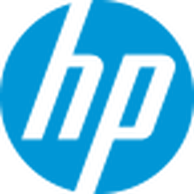 HP LIFE Back to School Campaign information. ﻿For more information click on the link above. Rabalais of SkillsUSA talks to Kiwanis Club. 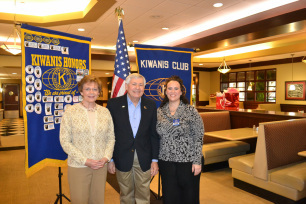 Larry Rabalais, executive director of the SkillsUSA Louisiana Association, spoke at the Cortana Kiwanis Club’s Jan. 28 meeting. SkillsUSA is a partnership of students, teachers and industry representatives working together to ensure America has a skilled workforce. Rabalais explained that Louisiana lags behind many states in the number of students invovled in the program. They are working, he said, to increase the number of students in the program. Try SkillsUSA Louisiana Cajun Red Hot Spice on all of your favorite dishes. It works great with everything, effs, pizza, pasta, salads, stews, gumbo, rice and gravy, barbeque, vegetables and much more. Louisiana Community and Technical College System enters into an agreement with SkillsUSA Louisiana to provide scholarships for student members. 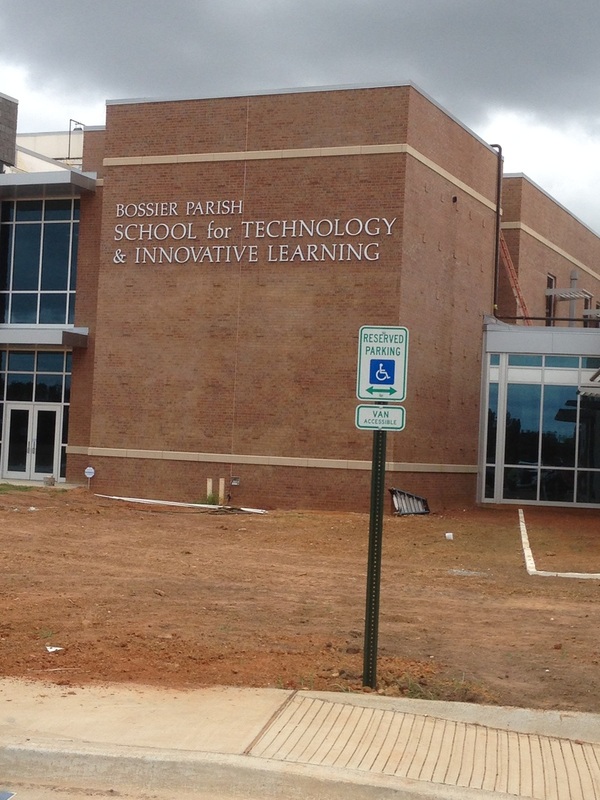 The most recent SkillsUSA presentation was at Bossier Parish School for Technology & Innovative Learning in Bossier City, LA The staff and principal Mrs. Jayda Spillers learned about SkillsUSA and SkillsUSA Louisiana from Mrs. Cynthia Robertson, Board of Directors member and Mr. Larry Rabalais, Executive Director of SkillsUSA Louisiana. 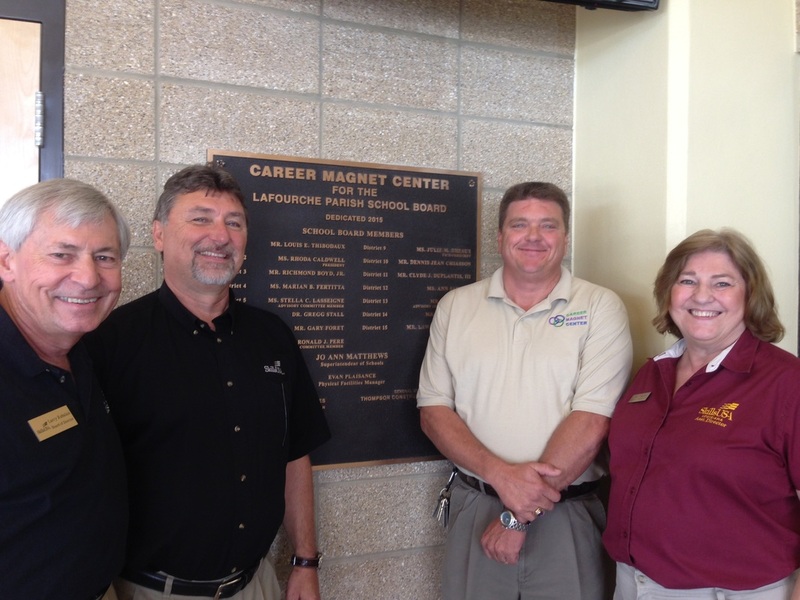 The second most recent SkillsUSA presentation was at Career Magnet Center in Lockport, LA The staff and principal Mr. Tim Long learned about SkillsUSA and SkillsUSA Louisiana from Mr. Charlie Positerry, Board of Directors President, Mrs. Dale Nash Assistant Director and Mr. Larry Rabalais, Executive Director of SkillsUSA Louisiana. Look for information on 2019 Testing for the Louisiana SkillsUSA Championships! 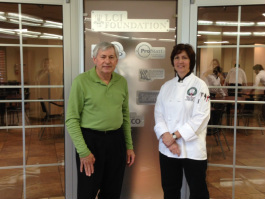 We look forward to a new partnership with Louisiana Culinary Institute, Baton Rouge, Louisiana. 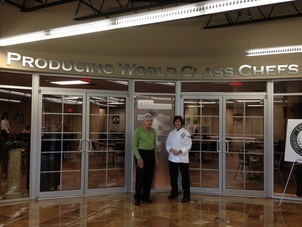 Chris Nicosia, Pastry Chef meets with Larry Rabalais, SkillsUSA Louisiana Director. Chris was a former SkillsUSA Cullinary Arts Advisor.